Here are two goats i got with my first outing with my fred bear T/D i got of adam. 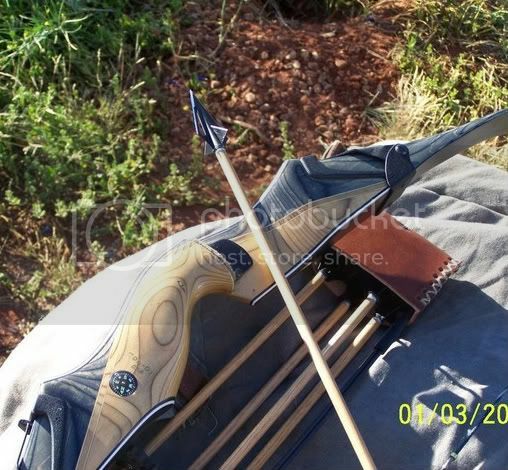 the set up i was using was a 57#@28 56inch long arrows were weighted 55/75 GT with 125 grain 4 blade magnus broadheads with 75 grain steel adapters with a total weight of 620 grains. 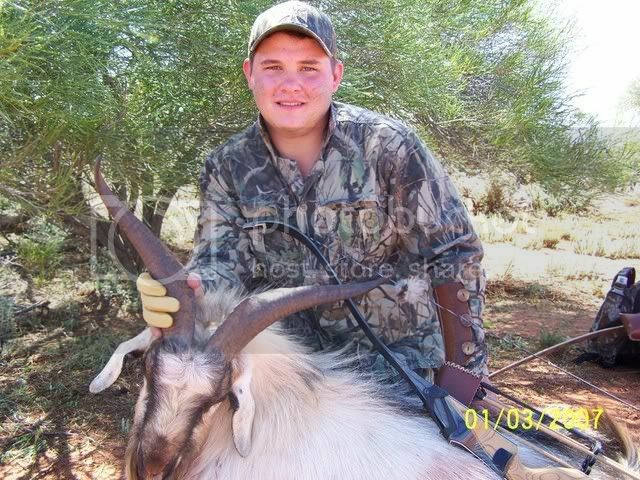 second goat 1 shot 38 mtr. Re: First hunt with Fred. good work I hear those goats are a blast. 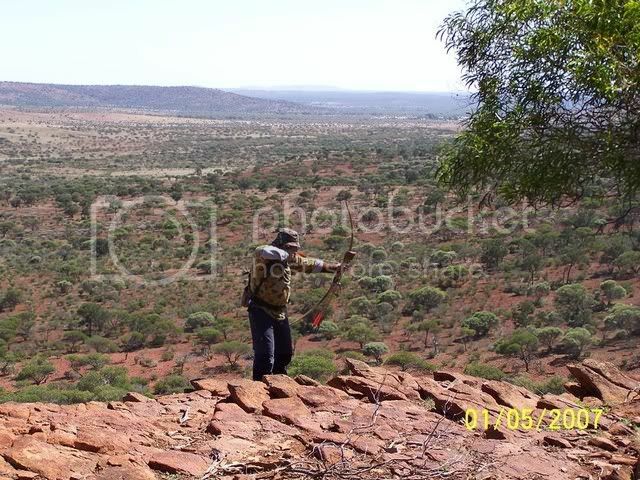 "When the buffalo are gone, we will hunt mice,for we are hunters and we want our freedom"
Congrats! 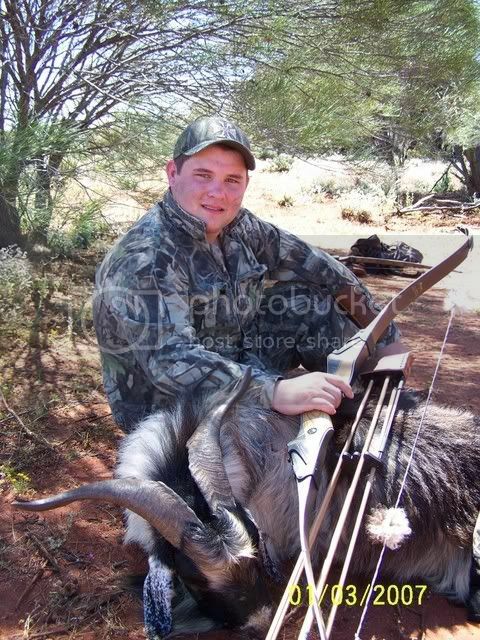 Nice goats, nice bow, thanks for sharing! 06' Bear Super Kodiak 57#@27"
Very nice mate! Well done and congrats! 56" Gold Tips??? Sounds more like spears to me!! Very nice goats. Great job!